Alvaka Networks MailWorx℠ is a combination of enterprise level Spam Filtering and Malware Blocking solutions for E-mail. MailWorx℠ Advanced Email Security is an enterprise-class service that keeps potentially harmful emails and attachments outside your network. Providing anti-spam, anti-malware, encryption, and content control, MailWorx℠ provides the peace-of-mind you need when you send or receive email. Alvaka’s Mailworx spam filtering machine learning technology provides the most effective anti-spam solution available for the small to mid-size enterprise. Mounting an effective defense against spam requires detection techniques that evolve as quickly as the attacks themselves. Alvaka’s Mailworx spam filtering technology uses advanced machine learning techniques to provide comprehensive spam detection that guards against the spam threats of today, as well as tomorrow. Alvaka’s Mailworx spam filtering continuously analyzes millions of messages and automatically adjusts its detection algorithms to identify even the newest, most cunning types of attacks. Alvaka’s Mailworx spam filtering provides accurate, adaptive, and continuous protection against spam without requiring manual tuning or administrator intervention. Alvaka’s Mailworx spam filtering is a highly configurable message-processing platform that provides a comprehensive defense against spam, viruses, and other messaging threats. The advanced machine learning classifiers and enterprise-strength platform enable the Mailworx spam filtering solution to synthesize large amounts of data, analyze millions of message characteristics, and classify messages with a very high degree of confidence. This results in a high rate of effectiveness and a very low rate of false positives. Why Alvaka’s Mailworx℠ Email Filtering is so effective. Continuously adapts to detect new types of spam without manual intervention—the system’s ability to identify spam does not degrade as spammers change their tactics. Employs next generation machine learning techniques including: logistic regression and information gain techniques to build large-scale statistical models that accurately represent dependencies among spam attributes, and delineate the boundary between spam and valid messages. Includes image and attachment-specific machine learning techniques to accurately identify even the most sophisticated spam messages. Alvaka’s Mailworx spam filtering continues to identify the latest attachment-based spamming techniques, and has built technology to handle these threats proactively, and predictably. As new techniques emerge, Alvaka’s Mailworx spam filtering delivers the latest spam detection technologies to customers automatically. Analyzes more than 1,000,000 spam attributes including message envelope and header characteristics, as well as the actual message and attachment content to accurately classify messages and ensure a low rate of false positives. Ensures the maximum protection today and improves in performance even as spam evolves. The detection process begins within our contracted spam filtering Attack Response Center, where scientists and engineers build and refine mathematical models that represent Internet spam. These models are constantly updated and delivered to customers to ensure their messaging infrastructures stay ahead of the latest spam attacks. Alvaka’s Mailworx spam filtering examines every aspect of incoming messages, from the sender’s IP address, to the message envelope, headers, and structure, and finally the content and formatting of the message’s attachments and the message itself. At any given time, more than one million possible attributes—representing both content and structural components—may be taken into consideration. A typical message may trigger more than 300 attributes. Alvaka’s Mailworx spam filtering offers intelligent content filtering to effectively address the issue of confidential, malicious or inappropriate email content being sent or received by your enterprise. 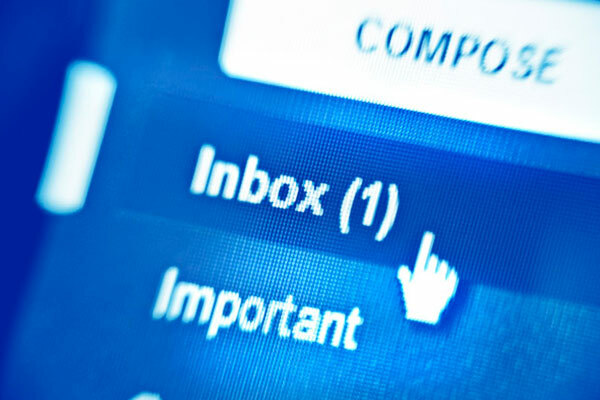 Email is vital for facilitating fast, effective corporate communications, however, it is essential that enterprises manage the content of all messages entering and leaving their networks. Failure to do so can result in confidential information, offensive jokes, inappropriate language or unsafe attachments flowing in and out of your organization without your knowledge and with harmful consequences. How does the content rules engine work? Alvaka’s Mailworx spam filtering offers a powerful, customizable rules engine. This facilitates both content and event-based email management while providing highly sensitive levels of control regarding email traffic. The service allows users to control where messages are sent to and how they should be filtered depending on specified rules with full visibility and control of features. This sophisticated feature allows users to filter their email based on a series of select variables. Rules can be set to cater for a number of different situations offering a wealth of functionality. Users are able to filter emails based on various criteria such as message size, country of origin or destination. The rules can be directed to the user only, to a group of users chosen by the company administrator or even to the entire organization. Users are additionally able to edit and order rules to their own preferences. Actions to allow, block, override spam filter or delete. Alvaka’s Mailworx spam filtering advanced threat detection technology enables our anti-virus engines to provide clients with an unrivalled protection from viruses and other email-borne threats. All messages are meticulously scanned by our sophisticated virus engines, operating at the highest levels of accuracy, performance and effectiveness ensuring all known viruses are captured and blocked. For increased protection, Alvaka’s Mailworx spam filtering employs heuristics scanning technology to discover email threats currently unknown to the system and protects against these in real time. Automatic access to your email even if your server fails or unexpected downtime hits. Alvaka’s Mailworx Emergency Inbox ensures your business email is always fully operational. This much-loved feature, simply accessed via a secure web link, means your organization will never miss important email due to downtimes, and your customers won’t even know there’s an issue. Administrator control of user access. Quick, one step restoration of messages. Fast and easy web-access to queued email. Enables business email as usual. Recipients won’t know there’s an issue. How does the Emergency Inbox work? If email messages cannot be delivered due to network issues, Emergency Inbox enables users you to log in and access new mail instantly and securely via any web connection. Users can quickly and easily access any queuing email via a webmail client, with the ability to read, forward, reply, open attachments and compose new messages as normal. While other Email Continuity systems only activate when an action is taken after a disaster, Alvaka’s Mailworx Emergency Inbox automatically kicks in from the very moment a problem hits so your enterprise doesn’t miss a single email. Such functionality means the outside world will have no idea the organization is experiencing technical difficulties. Additionally, all messages sent and received via the emergency inbox will continue to be scanned for any content rules previously set by the organization. The Emergency Inbox is activated instantly and automatically, providing users with the ability to open, read, download attachments and reply to any email currently queuing. Users can compose new emails that will be sent from their usual email account, so recipients will never know there’s an issue. Quick restoration of any email sent or received via the Emergency Inbox, to your primary system once it recovers. Messages restored to the email server with intact headers which can provide forensic data for archiving & legal purposes.